The poinsettia is a culturally and commercially important plant known for its red and green foliage and is widely used in Christmas floral displays. For nearly 100 years, the myth of the poisonous poinsettia has warned people not to taste the crimson red petals. According to Ecke Poinsettia Growers, the origin of the myth dates back to 1919, when a two-year-old child of an Army officer stationed in Hawaii died of poisoning, and the source of the poison was incorrectly assumed to be a poinsettia leaf. Since 1919, no other poisonous poinsettia deaths have been reported. According to the POISINDEX information source – the primary resource used by the majority of poison control centers nationwide – a child who weighs 50 lbs. would have to eat over 500 poinsettia leaves to reach an even potentially toxic dose of compounds in the poinsettia plant. Even though accidental ingestion of poinsettia leaves will not damage your body or kill you, it may lead to nausea and vomiting in some cases. Since the taste of poinsettia leaves is reportedly very unpleasant, it is unlikely that a child or animal who attempts to eat or chew the leaves will continue to do so after the first taste. While ingestion of house plants is never a good idea parents of young children can be assured that the poinsettia plant is not a dangerous risk in the home. Even though the poinsettia is not a tasty treat, it’s still a lovely addition to the Christmas experience. The Aztecs called the plant Cuitlaxochitl, meaning “flower that grows in residues or soil.” They used the plant to produce red dye and as a fever reducing medication. 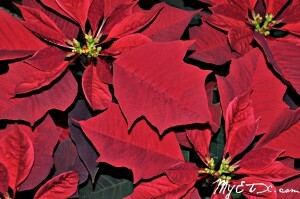 Today the poinsettia is known in Mexico as “Flores de Noche Buena,” which means Flowers of the Holy Night. The poinsettias association with Christmas began int he 16th century. Legend tells of a young girl who was too poor to offer a gift for the celebration of Jesus’ birthday. The child was inspired by an angel to gather weeds from the roadside and place them at the church alter. According to the legend, crimson blossoms sprouted from the weeds the young girl had gathered and became poinsettias. 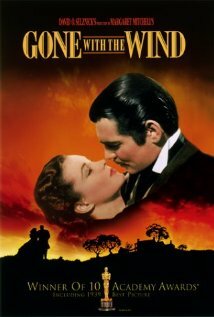 TYLER- Liberty Hall will be showing the historic classic “Gone with the Wind” in honor of the Azalea Trails in Tyler, Saturday, April 7, at 6:00 p.m. There will be special surprises in store for the attendees, so don’t miss out! If you have never seen this historic love story, your chance to see it on the big screen has arrived!